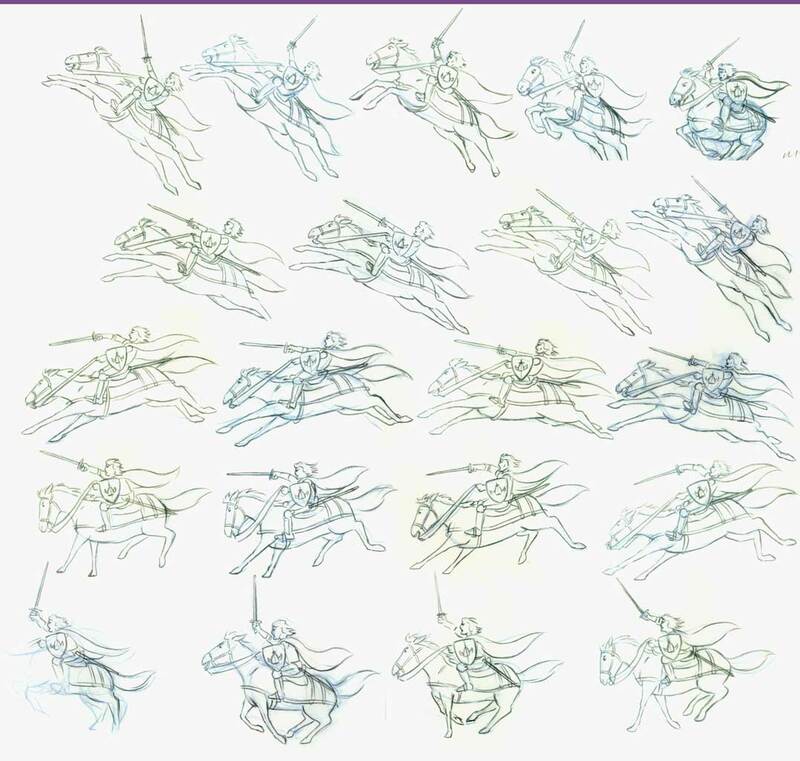 Anyone got a good quality copy of the sequence? I can get a good quality version of the title sequence - though it would include the Challenge logo. Presumably you would be interested in the series 1 - 3 version of it. I cannnot upload it until Sunday, as I've currently packed up my computer (I've got a TV Capture card) ready for moving into my university accomodation tomorrow. Last edited by Anonymous on Fri Sep 24, 2004 12:06 pm, edited 1 time in total. I was always interested in how cartoons were made, not just in watching them - I watched Rolf's Cartoon Club (and I joined it!) on CITV as regularly as I watched Knightmare. 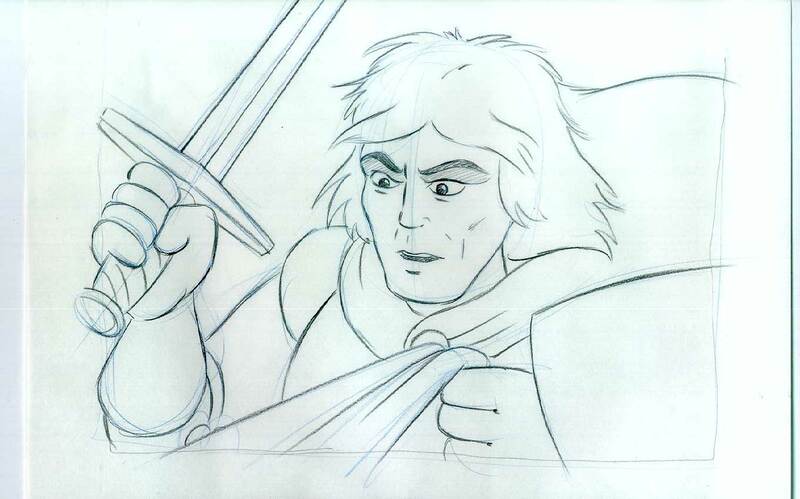 Thanks so much for sharing those drawings - the opening animation sequence, with the theme music running alongside it, was always a superb way to build up the excitement - the sense that finally, after a week's wait (or less these days if you're lucky enough to have Challenge), Knightmare was here! 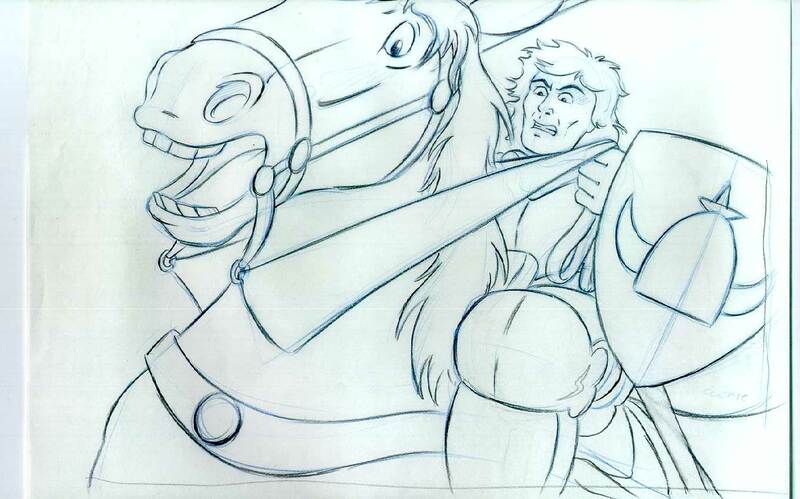 In the past on the Forum, people have wondered about the creature that the knight rides past on his way to the castle - whether it's a troll, and what it's doing behind bars. It just goes to show how intriguing we find the original title sequence, two decades on! Last edited by bli on Sat Sep 25, 2004 4:03 pm, edited 1 time in total. Thank you! Impressive drawings, and great for bringing back memories! 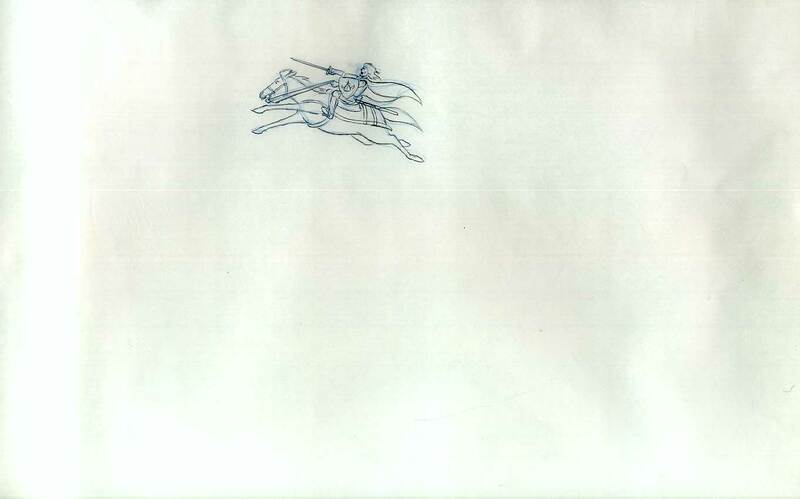 Hi, I've just added another image and 3 quicktime movies of drawings i've scanned. Thanks very much indeed for going to so much time and trouble. It's been marvellous for me (and, I'm sure, everyone else here) to get such a fascinating insider's view. Very silly question, but which player do I use to view the movies then? Isn't it the same player as what you get with some chart single cd's that include a video of the song? Last edited by Anonymous on Tue Sep 28, 2004 6:57 pm, edited 1 time in total.